A few days back, I shared that Nelf Cosmetics is about o launch its 3D makeup products line soon. Also I had reviewed the Kissproof Lipcolor from this range last week. 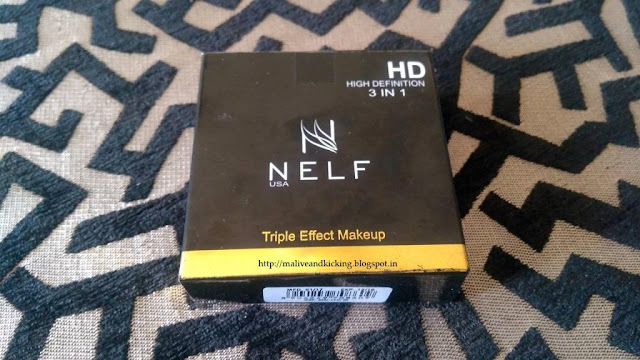 Today I've got a chance to talk about Nelf Triple Effect Makeup. This product is basically meant for face makeup, but is a multi-functional product. 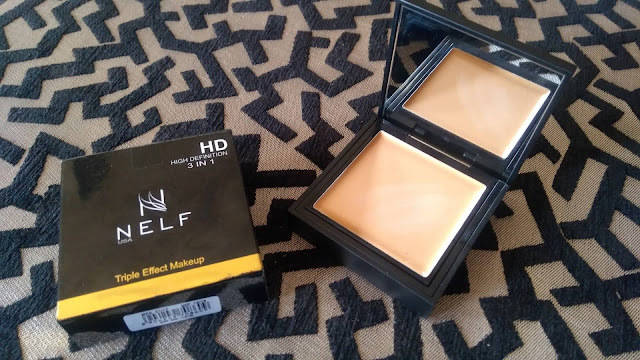 The packaging and look of the product is similar to a Compact. It's a square kit in classic black color with white letters on it. No embellishment or adornments, just simple packaging; which I find quite decent. The product kit is enclosed in a black cardboard box externally. The packaging opens into a dual-layered kit. The top opening has a mirror and the compact cake; while the bottom layer has a rectangular applicator sponge. The kit doesn't open loosely. It's easy-to-carry and travel friendly packaging. The product is a creamy formula (don't confuse it with a powdered one). So the technique I follow to apply this is to use my finger for dotting the product on my face and neck & then blend it well using the sponge provided within the kit. I'm glad that the sponge has replaced the traditional puff that is better accompanied with powdered compact. 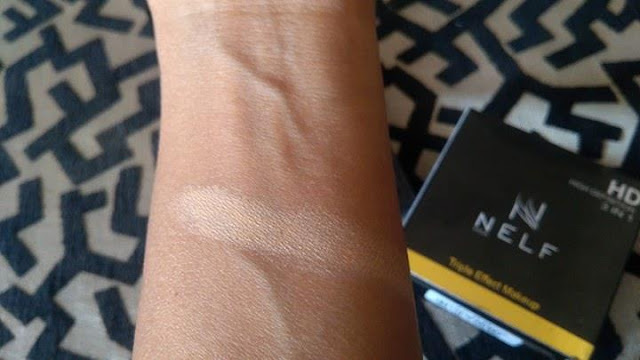 The product would need little effort to blend properly, else looks patchy. 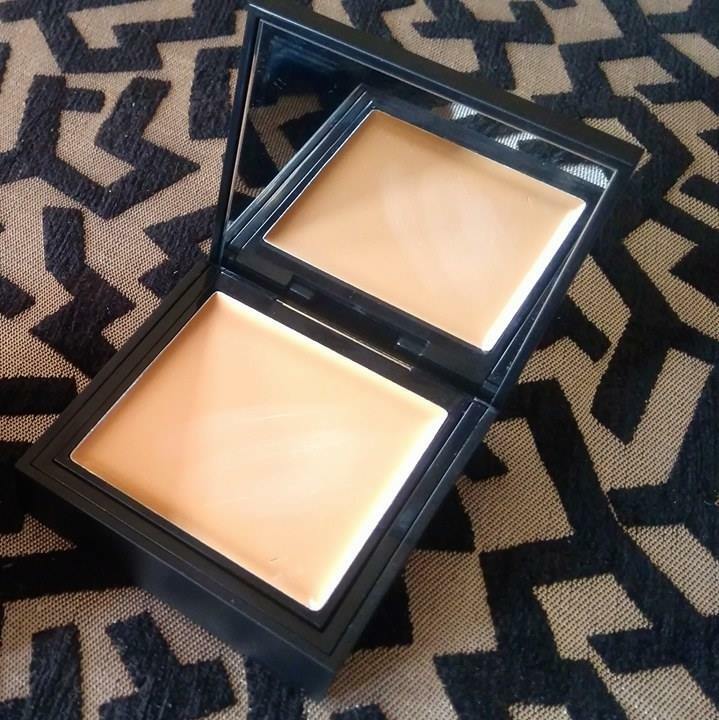 The compact that I received is in Shade 04 which looked slightly fairer for my skin tone when in the packaging, but upon application created a flawless base for further makeup. I primed my skin using Nelf Primer before using the product, otherwise my skin looks drier and too matte. Since the product is yet to be launched, I'm unaware of availability of other shades. 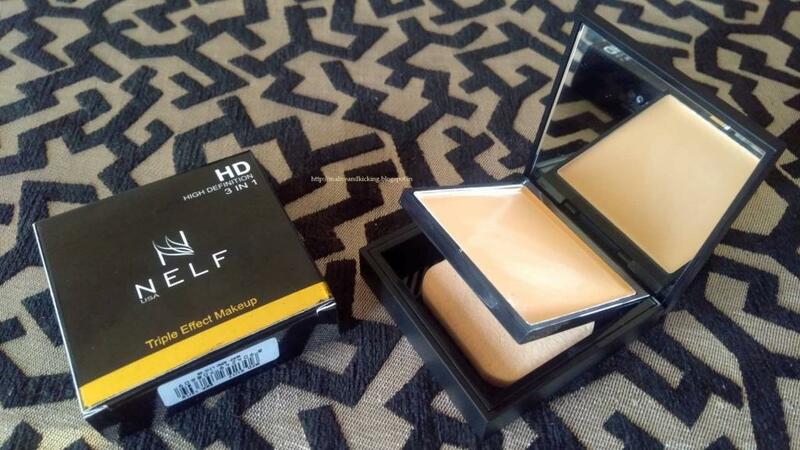 The reason why it is called a Triple Effect Makeup product is that it would serve as a concealer, foundation and compact. 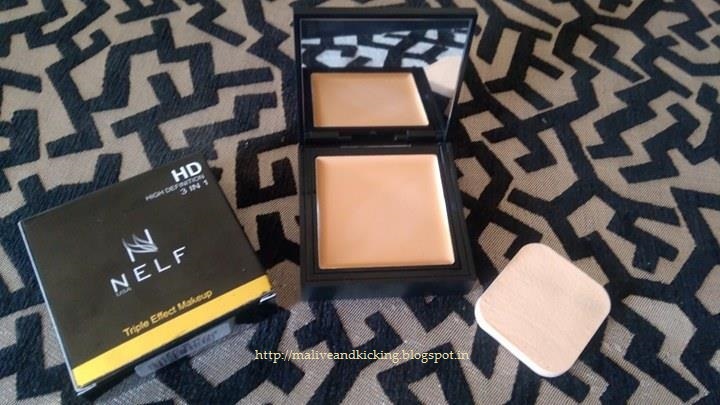 It effectively covers skin imperfections like light marks, blemish etc and stays put for 4-5 hours. I like using it for giving 'no makeup look' effect to my face for everyday purpose. But the women who love heavy coverage would also find it appealing. 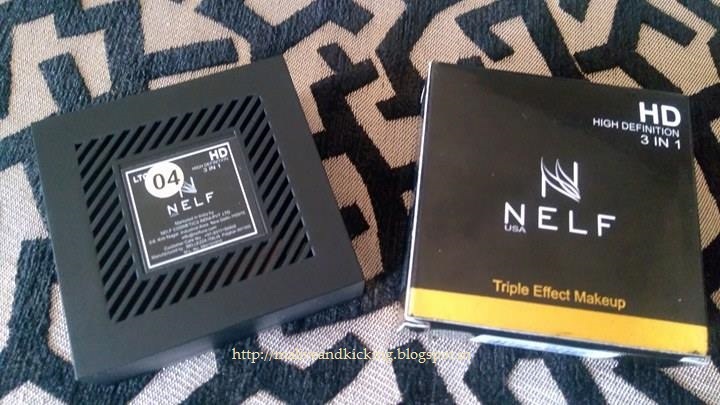 To sum up, Nelf HD Triple Effect Makeup is a fabulous product to combine three functionalities into one step, especially when you're packing your stuff for travelling and wanna reduce your makeup kit's weight. The product priced at Rs 825 is expensive as compared to some other good brands, but is worth a try if the shade is good to suit your skin tone.